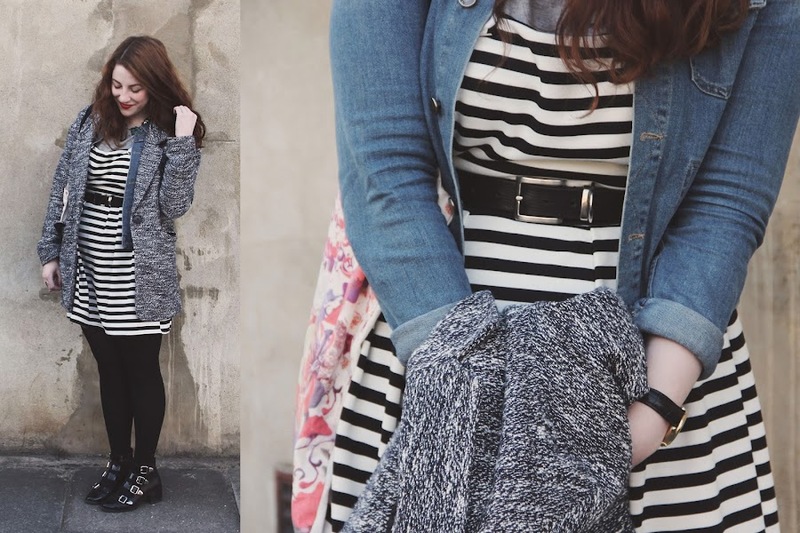 Striped pinafore dress: c/o Shelikes. Grey tee: £3.50, Primark. Denim jacket: £63, Hobbs. Grey jacket: £31.50, Topshop. Belt: 20p, charity shop. Boots: £76.50, Topshop. Necklace: New Look. Watch: gift, Rotary. Bag: free!, Topshop. Lipstick: Mischief, Topshop. Outside of the boudoir, we spent our weekend wandering round Battersea, which included a trip to the beautiful Battersea Flower Station (you will definitely see more of this in a post to come), and a stop off at Il Molino on Battersea Park Road for a spot of rhubarb cake, which now comes highly recommended from the three of us! I've never really explored the SW postcode before, so it was a treat to be guided round by a real expert. I do love to find out about new areas of London, as there are only so many times that you can walk up and down Brick Lane! Are there any parts that you think are the best? I'm determined to make the most of the capital whenever I'm in the South, so would love to hear any and all recommendations. oooh the grey jacket is lovely! 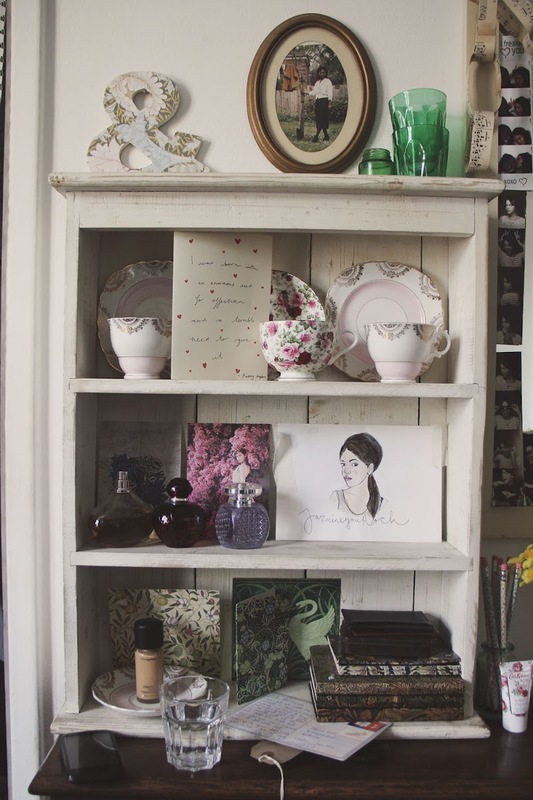 i adore the way you choose and edit your photographs, how you compile them into a blog post, your writing style. everything! please lets hang out more often to find the best walls in town! THERE IS JUST TOO MUCH BABE IN THIS POST. you are such a beauty lady and i love that pinafore! Aw this post is too cute! You look so beautiful Rebecca. I'd love to have friends that live in different places of the UK and just travel and stay the weekend, that sounds lovely. lovely pictures ! you look great! who doesn't love a good wall ay! Such gorgeous photos, you look amazing! Jazmine's room looks so beautiful, very jealous! Flipping beautiful photos :) you look lovely! Looks like you had a great time together, not sure there was ever a more gorgeous bunch of friends before you three came along! You look beaut, I love your boots and denim jacket. This sounds oh-so fun, and Jazmine's apartment is incredible. I want my place to look like that! I love this post you look gorgeous and the pictures are stunning, the daffodils made me feel so spring like! That looks like such a fun day! I love your outfit-- the pinny dress looks lovely on you! These are gorgeous photos and you look absolutely radiant! i am in love with the shoots of breakfast and all the china on the shelf! such lovely photographs!